Half-brothers Greg Bailey (28) and Jude Massey (19) have completed a 3,000 mile unsupported Atlantic Ocean row for the British Skin Foundation, setting a Guinness World Record in the process. Jude is now the youngest person to have rowed any ocean in a team of two which has been verified by Guinness. They are also believed to be the first people to complete the crossing on a vegan diet. They set off on 18 January from Gran Canaria to Barbados, aiming to raise £100,000 for skin cancer research in memory of their father, Peter Massey who suffered with skin cancer until his passing in 2015. They arrived in Port St. Charles after 53 days at sea on Sunday 11 March, greeted by family and friends. So far they have raised a fantastic £86,500 and counting for the British Skin Foundation’s skin cancer research. A dramatic capsize at dusk, spending 20 minutes in the water before scrambling back on board their boat. A broken water maker since day 4 – meaning they had to hand pump water for 5 hours every day to survive. Equipment failures including the GPS auto helm, meaning they have had to row with one arm and steer with the other almost the entire way. This also caused extreme back pain. Bad weather, 25 ft. swells, hallucinations, sleep deprivation, exhaustion, being followed by sharks after scraping barnacles off the bottom of the boat, plus both physical and mental pain. Greg (a junior NHS doctor) suffering from a rotator cuff tear (painful shoulder injury). A leaky boat and a constantly wet cabin. However, it wasn’t all bad with the boys enjoying shooting stars at night, seeing wildlife such as whales, dolphins, flying fish and even picking up a stowaway bird (they named Pete) which stayed with them throughout. Posted on 21 March, 2018 by Federation of Holistic Therapists (FHT). This entry was posted in archive, health and tagged health. Bookmark the permalink. 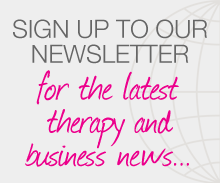 ← How do we maintain professional boundaries when clients become emotional after treatments?